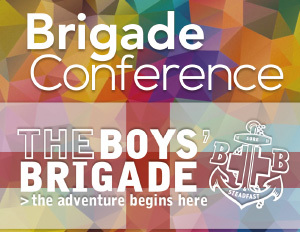 Brigade Conference 2017 was due to be held in Cardiff, but because of the clash with an international sporting event, this year’s conference has been moved to Manchester. Manchester’s central location and great transport links make it the ideal place to meet and we hope that as many leaders as possible will join us at BB Conference in 2017. Youthful, diverse, energetic and bursting with character; just some of the ways Manchester is often described. One of the most exciting places to visit in the UK right now, Manchester is famous for its ability to combine a multi-cultural culture with a northern charm where everybody and anybody is very warmly welcomed. The venue will be The Copthorne Hotel in Salford Quays which is perfectly situated close to many attractions and city sights including Media City and Old Trafford Football Stadium. There are also several other accommodation options nearby including the Ibis Budget and AC Marriott Manchester Hotels. A full itinerary will be available shortly and we will keep you up to date about plans for the event through the monthly eBB news.